To stay updated on the theme and tellers each month, please subscribe to my newsletter or like the ‘Stories in the Club’ FB page. I often write about Stories in the Club at my blog at this website also. Welcome to our ‘Stories in the Club’ page. 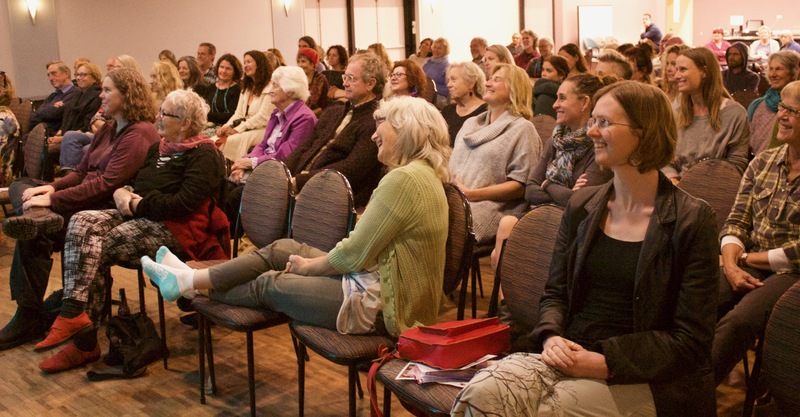 We began in August, 2017 and gather monthly in Mullumbimby to hear tales from community members. Morag Wilson and Jennifer Grainger help me develop monthly themes, choose tellers and run the event. We gather on the second Sunday of the month from 4pm to 5.30pm at the Mullumbimby Ex-Services Club from February to November. In 2019, we will test out a new format. We are reducing the number of tellers from six to four to give each teller a little more time and to also allow some time at the end for discussion and/or Questions and Answers. We start back for 2019 on Sunday, February 10 with the theme ‘What Do You Stand For?’. Why Stories in the Club? Through stories we aim to reconnect people to themselves, each other and to place. We don’t just share personal stories: we share tales that are true as well as stories that have truth in them, even though they may speak in the language of metaphor. Through stories, we celebrate transformation, wisdom, community and rekindle connection to country. The tellers are not chosen for their performance ability or speaking experience, but rather because they are an inspiring, generous, community-minded person, doing something to help make the world a better place on a large or tiny scale, who has a story to share relevant to our themes. Good stories can be roadmaps for a life well lived. In these times of rapid change and widespread loneliness, such ancient, simple soul food can be sorely needed. Tales will be told orally, that is, except for beginning tellers who may have a few cards to help them. They are not written stories read aloud, but oral stories told by a teller who connects deeply and personally to the story they are telling: whether it is their own personal story, someone else’s true story, a folktale or myth or a weave of fiction that fits the theme. You are invited to join us to sit in community and feast on a rich banquet of stories. Stories can be factual, fictional or factional – which is a blend of the two. Stories in the Club is supported by The Ngara Institute and Mullum Magic Toastmasters, which means they distribute information about our events through their e-newsletters. Doors open 3.30pm. WHEN: Second Sundays 4.00- 5.30 pm. check the ‘Stories in the Club’ FB Page.